We go through this life of ours and we meet hundreds, maybe thousands of people. Folk from all walks of life will walk through yours and make some sort of impact; some for a few months or weeks, some for an hour, some even for a fleeting instant. And as you go on your merry way, some of these people will become close confidants while others will just flit through, quickly becoming vague memories over time before being relegated to a past you no longer recall. Very few times in my life have I had an instant connection with another human being. You know the kind of thing I mean: the immediate sensation upon just meeting a person and you know straight away that they embody those sentiments which you respect highly. The impression they make on you is over-powering and, without sounding corny, life changing. This was the feeling I once had: it was like an instant friendship that I just knew would be life-long. Well, as a registered medium I have tried my hand at almost every professional form of conducting my vocation and sharing my gift but perhaps my least favourite is attending Psychic Fairs. You must know of these sorts of things. They are often in a large soul-less suite in an all-purpose building where all manners of people are vying for the attention of the paying public. Sometimes, they are much smaller affairs with perhaps only one or two psychics appearing, but in any way, my heart always sinks; the whole idea of mass-producing our psychic channels – a genuine skill for most of my peers – in a rushed, impersonal and sponsored environment leaves me cold. In fact, I dislike them so much I have only ever done four in all the years that I have been a professional medium but it was at the first of these events that I met a man who would become that special instant friend: an old man whose name was George Armitage. On this particular day, I was feeling a little nervous and excited about taking part in a fair for the first time. I had a basic 6 foot stall with a plain table which I had decorated with a few pewter figurines. (I look back on it now and I have to say how I was not as well-prepared as others but hey! It’s all a learning curve, isn’t it?) I had some self-promotional flyers which were placed on the table and which I handed out to passers-by. I hadn’t done too badly as I had already done one or two readings to those who had expressed interest. I noticed a tall, distinguished looking man in his seventies walking by a few times, and wandering in and out of the neighbouring stalls, but I had thought nothing of it until he wandered into mine. He told me later that he had a bit of a formula whenever he attended the psychic fairs that seemed to work well for him as it endeared him to all the eventers: he would wander around all the different stalls with great genuine interest, soaking up the atmosphere and absorbing all the varying principles and differing philosophies. This was the way that he strolled into my stall. A keen and eager look in his eye, he at first spoke intently about his interest in astrology and then sat for a reading. His was an intriguing philosophy: George believed that the individual traits that can be attributed to the different birth signs are universal and moreover, these traits can be used to ascertain important information about the people closest to us, both at work and socially. As time went on, we became very close friends. He joined my development group and, as he had a lot to offer, he began to sit with me in my spiritual circle at home. I have to say that as a knowledgeable man, I learned a great many things from him. He always had many interesting stories to tell from his full and eventful life but of all the ones I enjoyed listening to him recount, the ones that most piqued my interest were the ones which involved the development of his own spirituality. These are the journeys made by people which most intrigue me. My overall favourite tales were his wartime exploits. According to George, it was these times that helped instil in him an undeniable faith that there was a power watching over him. He was always quick to distinguish this from the religious sense of the word. In his own words, he had a strong belief in his Guardian Angel. 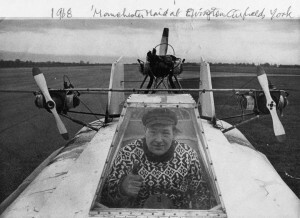 During the war, George had been a pilot. (Anybody who knows me knows that I am incredibly keen on planes, so he always had my instant attention with these stories!) 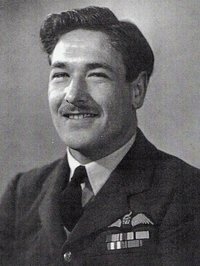 He flew several types of aircraft but eventually ended up flying Bristol Beaufighters whilst stationed in Malta. For those of you who don’t know, this plane was a double-engined predecessor to the Mosquito and was used in its primary role for attacking ships in the Mediterranean. It had a torpedo strapped to its underside as well as being fitted with rockets and a cannon. It came to his final day on operations; a crisp, bright morning on that poor, beleaguered island. Despite a relatively trouble-free tour, George told me that he had walked towards his aircraft with a foreboding feeling in his gut. 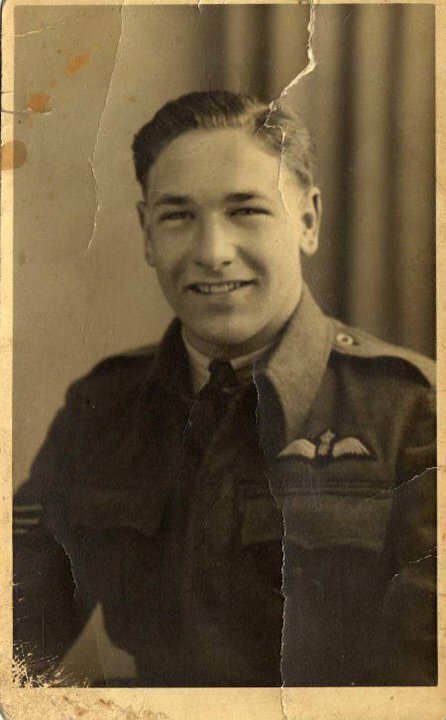 With his gunner Charlie by his side, he had approached the Beau with the full understanding – he simply knew – that on that day they would be shot down and that his good pal Charlie, would not survive the mission. Up in the cockpit, George pushed forward the throttle and shouted Chocs Away. With a heavy heart – so real was his fateful feeling – he took to the sky, as ever looking for possible enemy targets hiding in the Mediterranean Sea. Macchi Fighter Aircraft were gaining on the Beau. From his position on the upper side of the fuselage, Charlie opened up as soon as they came into range but it only deterred them momentarily. When the Italian fighter planes came in for a second attack, there was suddenly an eerie silence from the gunnery. And an awful silence from Charlie. George never saw him again. The Bristol Beaufighter had taken a direct hit. It pitched and rolled terrifyingly towards the sea. George wrestled with the controls of the now doomed fighter plane as oil spurted out of the port side engine. The oil caught fire and as black smoke filled the cockpit, George decided to bail out; already semi-asphyxiated, he knew that this was the pilot’s last-ditched attempt at survival. He opened the floor hatch, jumped out of the fighter and parachuted into the sea. The last image he saw before losing consciousness was of his plane spinning out of control and plunging to its fate in a watery grave. When he came to, George was submerged in the cold waters of the Mediterranean Sea, his life jacket supporting him and keeping his head above the choppy waves. After the smoke inhalation, the cold and the motion of the water made him feel even sicker. Alone and scared, he scanned the Horizon as far as he could see in pitiful hope of signs of rescue. Such was the nature of his mission and the odds against fighter pilots, that he knew such rescues were scarce. He felt horribly abandoned by a life that he now felt to have been unfairly cut short. As the light ebbed from the day, so too did his faith and after what he felt had been a couple of hours, he gave up his will to live. Considering the remoteness of his plight, he tossed his life jacket away and tried to drown himself under the water. He was so desperate, he tried to will himself beneath the waves but it was all to no avail, his survival instinct was too strong…or too stubborn. Then, when he thought that sheer exhaustion would take over, he felt a calming warmth take over his entire body, starting from deep inside him. Suddenly, a voice told him quite clearly that he would soon be safe. At first, he thought that he was finally beginning to lose his mind, but the sense of calm that had come with the voice was very real indeed. He swam towards his life-vest which had never left his side and was still faithfully bobbing nearby, and when he put it on and was floating once more, so too did his faith. He sincerely and earnestly hoped that the voice – his Guardian Angel – had come to help and guide him out of his plight. It was not long before he heard the unmistakeable buzz of approaching engines in the distance. Pretty soon, it came into view: a sea plane with Italian markings. The irony of his enemy coming to save him was not lost on George. It landed close to him and he was plucked from his despair and saved. In the ride to a prisoner of war camp, and all his time thereafter, he gave thanks to the Angel’s voice that he knew, beyond a shadow of a doubt, had stopped him from ending his life. He was to spend the next few months in the prisoner of war camp in the North of Italy. George, ever the opportunist, landed with what was considered to be a plum camp job: the Italian camp commandant’s valet. He was able to take advantage of this cushy position by pilfering small amounts of food and cigarettes for himself and his mates. He soon noticed that the camp was run in a slapdash sort of way. Errors in basic security were the norm…there were even holes in the perimeter fences! The fact was that overall, conditions were good and folk knew that there could be worse ways to spend the war. That’s why nobody really tried to escape. George, however, had other plans. Every Wednesday, at three o’clock, a local farmer would drive to the camp in order to deliver the Commandant’s personal larder: fresh eggs, bacon and cheese. Like clockwork, George was always detailed to unload the items from the farmer’s truck and he began to feel that his destiny was not to stay out the remainder of the war as a POW butler. The more he thought of it, the more he knew it was true. He always said he had felt that some greater power gave him the audacity to do what he did next. Like any other Wednesday, the farmer drove up and George was sent to unload it. But this day, unlike the previous weeks, George simply climbed aboard and hid under some sacking. He was then driven out of the camp gates and to eventual freedom over the Pyrenees by the help of local partisans. His gut feeling that he would not remain in that camp for the duration of the war became true as he ultimately re-entered service as a Spitfire flight instructor. After I first met him, as I said, we became good friends. Although our meetings were fairly infrequent, we kept in touch for many years and always exchanged cards at New Year with our news and updates. Last year, however, there was no card from George and sadly, without any other way of getting in touch, I feared the worst. It was only the other day when I was sat watching TV that a voice graced my ear. It told me quite clearly that I should go on the internet and search the words ‘George Armitage’ and ‘Beaufighter’. Without further ado, I did as I was bid. Lo and behold, George had indeed pass on but not only did I find pictures of him, but there is also a Facebook page administered by his son in his memory, complete with photos of George sat in his hovercraft. George always said that he led a charmed life but, that more importantly, he was guided by a spiritual force that he felt strongly whenever he needed it. This is why George was such a spiritual leader for me in my life, not just then but now, even after his passing. God bless you George. You will always be special to me and considering you came to me to teach you, it was you who taught me so much. I end this with a quote from a Humanist address that I heard many years ago.